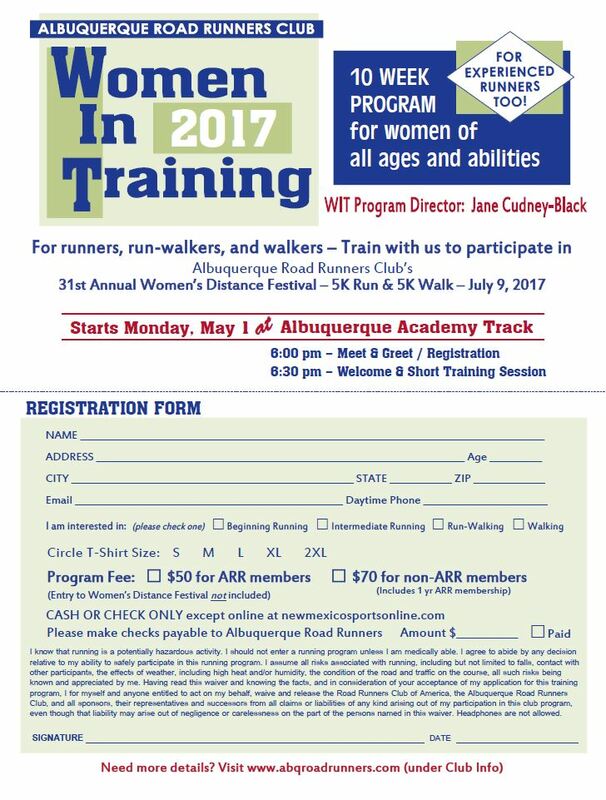 A ten-week program to prepare beginning women runners, run-walkers, and walkers for their first 5K race, the Albuquerque Road Runner's Women's Distance Festival (WDF) in July. 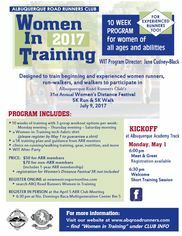 Women of all ages and abilities are invited to participate in this program, from beginners to intermediate and advanced runners. 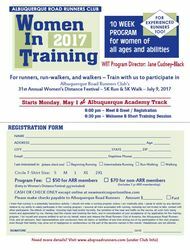 Participants meet for group sessions where mentors from the Albuquerque Road Runners Club lead warm-up exercises and running or walking workouts designed to help new and returning participants improve form, endurance, and strength. 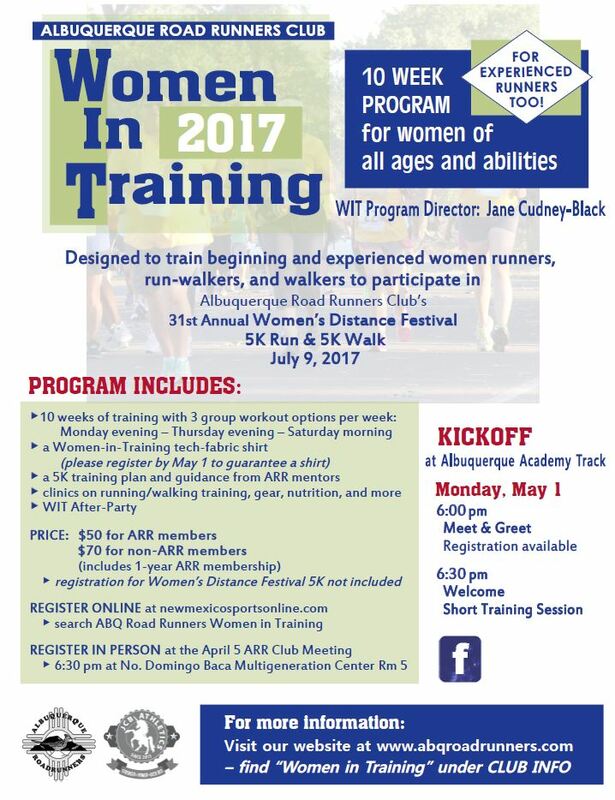 Optional group runs will be held three times a week during the training program. 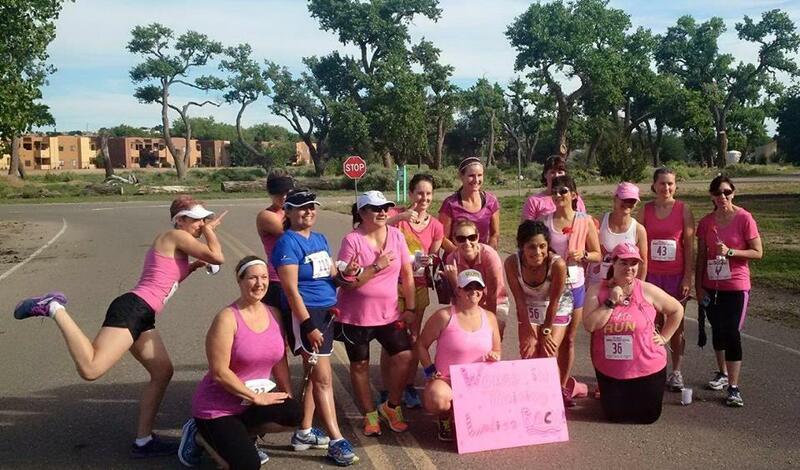 Whether it's your first 5K or one of many, this program is a great way to make some new friends and get to know Albuquerque's running community! Workouts will be held three times a week.